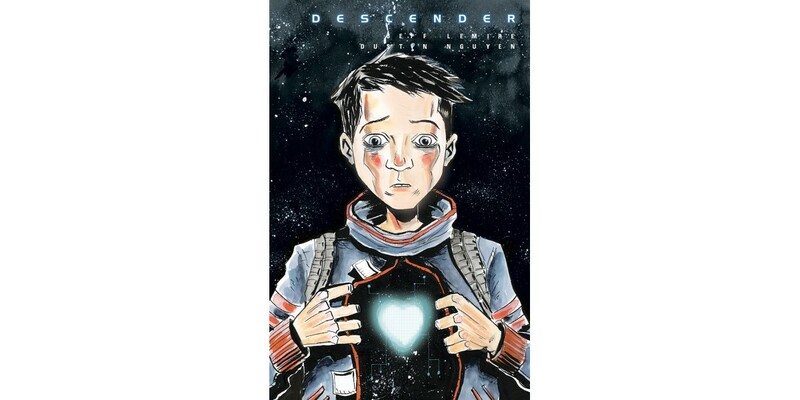 Current: Brian K. Vaughan calls DESCENDER "emotional, imaginative new universe"
Brian K. Vaughan calls DESCENDER "emotional, imaginative new universe"
DESCENDER #1 hits stores on March 4. Cover A (Nguyen) can be pre-ordered with Diamond Code JAN150567. Cover B (Lemire) can be pre-ordered with Diamond Code DEC148401. The final order cutoff deadline is Monday, February 9.